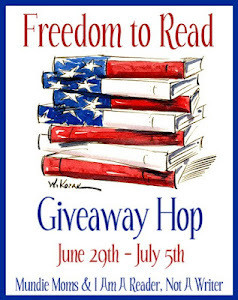 Welcome to my Freedom to Read Giveaway. 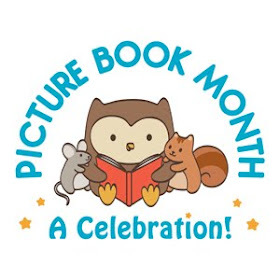 This giveaway hop is being sponsored by Mundie Moms & I Am A Reader, Not A Writer. I am sincerely grateful for the freedom to read as I see fit. If I don't like a book, I can put it down. If I love it, I can read it as many times as I want. I want to share that freedom with my readers. One Book of Choice from Book Depository or Amazon under $20. Fill out the rafflecopter form. This giveaway is open internationally. I will email the winner, the winner has 48 hours to respond before I will choose another winner. Both books that I'm highlighting today deal with a difficult topic: terminal illness of a parent. I'll say right off that both books made me cry because they were well told and the characters so real. But both books will need to be shared in a sensitive manner because they won't be appropriate for all students. Reviewed from copy received from author. Lily's mother has slowly been losing herself to multiple sclerosis. After traditional treatment fails, she uses bee sting therapy, administered by Lily, to alleviate her pain. Lily is trained as a veterinary assistant, so she can easily handle the treatments. What she can't handle is what happens when the bee sting therapy fails and it becomes clear that her mom wants to die. 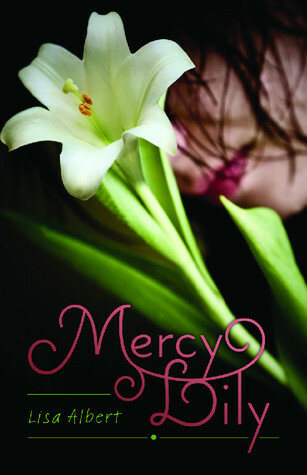 One beautiful spring day, Lily's mother asks her for the most impossible thing of all--mercy. While navigating first love, friendship, and other normal worries faced by high school sophomores, Lily also has to choose: help her mom go, or cling to her fading life for all it's worth. I wasn't sure about this book when I first heard about it, but I decided to give it a try and I'm glad I did. I found it a compelling story about Lily and her mother as well as the Death with Dignity Act that was passed in Oregon years ago. I found Lily a very sympathetic character as she struggles to take care of her mother while dealing with the normal challenges of high school, friends, crushes, etc. I liked that she had support from others around her, friends and neighbors. I don't know how one could deal with such grief alone. The setting was beautifully depicted and complimented the story nicely. I can't picture this story occurring anywhere else. The plot moves along realistically and heartrendingly. The relationship between Lily and her mother provides much food for thought as Lily considers her mothers' request for mercy. 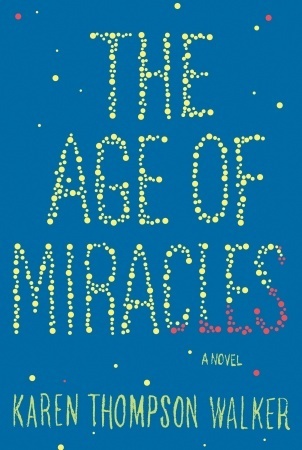 I am not in favor of assisted suicide, but this book does a nice job of showing why others do support that idea. There is much in this book to consider, but it is much more appropriate for older or more mature readers. Note: there is some language, but other than the mature themes there isn't anything inappropriate in this book. I'll admit I was really reluctant to read this book because I knew it dealt with grief and other dark themes, but I'd heard so many good things about it that I decided to go ahead and read it. I have a hard time coming up with words to describe it. I sobbed at some parts, but the symbolism was powerful, and despite the difficult topic dealt with here, I finished the book with hope. The interactions between Conor and the monster feel heartbreakingly real. My heart went out to Conor as he struggled with the emotions surrounding his mother's illness. The fact that Conor was hurting so badly and no one really reached out to him really broke my heart. One wonders if someone had sat down with him and helped him face his feelings maybe he might have done things differently. I guess that's what makes this story so thought-provoking. 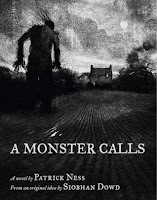 The way the 'monster' helps Conor face the truth about his own feelings and nightmares leaves the reader pondering long after the book is done. The illustrations I thought at first would be scary, they seem scary, but interestingly I didn't find them so. I thought they added greatly to the whole atmosphere of the book and the darkness of the feelings that Conor was struggling with. I also figured the monster would be 'bad' but really, he isn't. I won't say more than that because I don't want to ruin it for those who haven't read it yet. Just know that this book really makes you think about being human and the contradictory emotions that all of us struggle with at one time or another. While I didn't agree with all the conclusions presented in the story, it certainly gave me much to think about. I do recommend this book, but it needs to be recommended carefully. This book is certainly not for all readers, but for the right reader the depths of this book are amazing. Note: there is some language, as well as a strong feeling of darkness to this story. Reading these too books together was an interesting experience. Both books have main characters who are struggling with the grief of losing the most important person in his/her life. Both Lily and Conor dealt with their emotions in sometimes similar and sometimes different ways. Both experienced moments of anger and frustration, both struggled with deep emotional pain as well as guilt. But there were strong differences as well, Lily had more support than did Conor. Conor in the end had to help himself because no one else did, not his grandmother, not his father, even his teachers offered sympathy but nothing else. Conor's mother might have helped but she of course was dealing with other things. Only Conor's friend, also named Lily interestingly enough, eventually saw what Conor was trying to hide, even from himself. Also, Conor's mother has done everything she could to last as long as she could, while Lily's mother longs for release. I guess what I find so remarkable about both of these stories is how the stories end with a feeling of relief, not because the grief is gone, but because the characters have faced the truth and accepted it. Vesuvius is Awakening. Mira, a fifteen-year old slave who saw the coming death and destruction in a vision. Now it is time to fulfill the vow she made to the mother of the Roman child in her care. To do this, she must escape the watchful eye of the slave ordered to guard her, and the stubborn father who refuses to believe there is any danger. Before Mount Vesuvius erupts and buries the town, she has to convince her guard to go with her or suffer the fate of Herculaneum and all who have not yet fled to safety. Seeing his neighbours leave, her owner decides to join them, but first he will make sacrifices to the gods. To Mira’s dismay he takes them to the temple farthest from the best escape route. Mira thinks about killing the slave keeping watch on her, or even better the child’s father, then they can all run from the certain death she knows is on its way. But can she commit murder, even if to save the life of the child she loves? I enjoyed this book very much. With plenty of action the book moves quickly and would be perfect for reluctant readers. The characters are interesting and believable, the plot is focused and intense, and the setting is vivid. The only thing I had a problem with was that I wanted more, more details about the characters and the setting, and more story. I wanted to know more about what happens to Mira and Remy. Of course this happens with a lot of stories, you get attached to the characters and hate to say goodbye. I do recommend this to all who enjoy a quick, intense read. If all historical fiction was written like this, I think more children would read it. Author Liz Carmichael has stopped by today with a character interview with Mira from her new book In The Shadow of Vesuvius. What is life like as a slave in your city? Depending on our owners some slaves think they have a good life. I am well fed and clothed, but not allowed out on my own, and I would much prefer my freedom. Some slaves are chained day and night, and fed scraps. Others, who have proved themselves loyal, may come and go as they please in their free time. They would still be whipped, though, if they tried to run. We all wear either a collar or arm bracelet with our owner’s name engraved on it. Have you had visions before? If so, what About? I have had small visions about who was going to be sick, the gender of a baby, where lost objects were, or a storm coming suddenly from a clear sky. The eruption was the biggest and most important. I believe Fortuna sent it because I prayed faithfully, and sacrificed to her. Tell us about the man who owns you and his family. Dominus Octavius is a stubborn, blustering man. He owes much money because of his gambling habit, and will often bet a slave on the throw of the dice. His wife, Domina Serena’s dowry money keeps him safe. She is only a little older than me, and she chose me to be her Son’s nursemaid. She, too, has visions but keeps them to herself. If you were to gain your freedom what would you most like to do/be? Not if but when I gain my freedom, I will try to find my way to our farm in the mountains, to be reunited with my mother and younger brother and tell them what happened. They must wonder why my father and I never returned from our trip to the Pompeii markets. Could you describe for us what you plan to do if /when the volcano erupts? Where will you go? It is my intention to be as far from Herculaneum as possible before that roiling death cloud comes. But I must fulfill my vow and keep Remy from harm. If Domina cannot, or will not, come with us, I shall escape somehow and take Remy with me into the mountains in the north. I cannot let him die. About the Author: Liz Carmichael has been an avid reader of historical fiction since she was allowed to go to the library on her own. She taught writing and editing for two years, but then the writing bug became too strong to ignore and she listened. Although born in Scotland, she has spent time in several countries and is now settled in Melbourne, Australia. Book Synopsis comes from Goodreads. I have mixed feelings about this book. There were things I liked and things I didn't. I'll try to express these in as fair a manner as I can. I prefer not to give negative reviews and there were things I found compelling about the story, so I'll start with the things that I liked. Things I liked: I found Julia a compelling character. Having been a loner myself through much of my school career I found I could relate to some of her struggles with friendship and the lack thereof. I found myself pleased when she found someone to connect with. Her struggles with growing up were certainly realistic and easy to relate to, including her changing relationships with her parents. The catastrophic changes taking place were certainly something I had never thought of before and found interesting. I wanted to find out what happened as the earthly changes developed. I didn't really mind that no real explanation for these changes was given. After all should some such change occur, we might never know what caused it, so I had no problem with that. Things I didn't like: Realistic or not, I am not comfortable with so much swearing and profanity in a middle grade novel. It didn't seem at all necessary. Also, her portrayal of Mormons was not accurate. Luckily that proved to be a minor part of the story. The situation regarding Julia's father and her former piano teacher I found uncomfortable but bearable. Unfortunately, all too many children find themselves caught in the middle of a struggling marriage. The underage drinking and making out I found disturbing, it's bad enough with sixteen and seventeen-year-olds doing it, it's downright scary for twelve and thirteen-year-olds to be doing it. I think the thing I struggled with the most however is the tone of the book. The title, to me, conveys a feeling of hope, of something good happening, of hope overcoming despair. I guess that does happen to some degree, Julia does find a friend. Her family survives. But then another devastating blow occurs. The overall feel of the book is sad and depressing. Despite a few things working out, most of the book chronicles increasing worsening conditions. The end of the book does not convey much if any hope. As compelling as I found the book, it isn't one I would read again. I prefer books that convey at least some sense of hope. 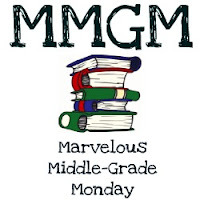 This is my first Marvelous Middle Grade Monday post, but since I love middle grade as a genre, it will not be my last. Reviewed from copy received from author in giveaway. All opinions here expressed are solely my own. This is Stefan's big break. He's on location in the mountains far from home for his first movie role, filming a blockbuster sci-fi adventure. The props, the spaceships, and the trained wolves on set should add up to a dream job, but acting turns out to be much tougher than he ever imagined, and he feels like his inner loser is all that's showing through. From the way his famously stuck-up co-star, Raine, treats him, he's pretty sure she thinks so too. And worst of all, no one will believe his claim that there are wild wolves haunting the forest around the set. 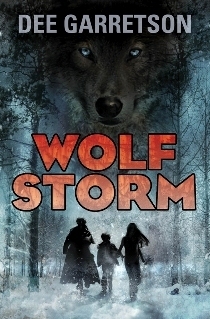 When a blizzard strikes, isolating the young co-stars and bringing hungry feral wolves into the open, Stefan must take on his biggest role yet--working together with his co-stars to survive. With no second takes, they only have one chance to get it right. I'm not particularly fond of scary stories, especially not the horror genre, but I do love survival stories. I'm not sure why, because I also love my creature comforts, but for whatever reason, I do love survival stories. This particular survival story I enjoyed, especially because it's very different than others I've read. First, the location, Slovakia is not one I've ever seen in a middle grade/young adult book, or in any book come to think of it. Garretson does a fabulous job of creating the setting. I could practically feel the cold. It made me want to curl up in bed with a nice cup of hot chocolate. At the same time, I felt a strong urge to explore the partially restored lodge that Stefan and his co-stars, Raine, and Jeremy are staying in. For a survival story to really work, at least in my opinion, the setting needs to be carefully depicted. Garretson does a great job of that. Second, characters, Stefan immediately becomes a sympathetic character as he struggles with his acting. Anyone whose made mistakes in front of any kind of audience can relate to Stefan's feelings of incompetence. And yet, Stefan, is desperate to succeed as an actor because his family desperately needs the money. Raine comes off at first as a spoiled star, yet as the book proceeds it's fun to see another, rather unexpected side of her. Let's just say, Stefan's frustrations with her are not surprising, if rather amusing (later in the book). At first, Raine just made me roll my eyes, but later I came to like her and she seemed much more down to earth. Jeremy is a nice addition to the story, as a bright and caring individual. In order for a survival story to work, the plot needs to be believable however unlikely it might be. I found this particular plot quite believable. People underestimating the weather, unexpected events, how often do those things happen in real life. All too often unfortunately. The mishaps on the set I had no problem accepting as I'm sure this type of thing happens in the real world, especially when working with tamed(?) animals like wolves. I do have to say that I wondered how Stefan and the others would end up in a survival situation, when they had the lodge to stay in, with or without electricity, the building offered shelter. But the author takes care of that nicely. Overall, I found the plot moved along nicely and in quite a believable way. While the story is certainly not the most intense I've ever read, I think it provides a nice combination of character development and action for those students who crave such, while not being too scary for students who dislike that sort of thing. I'd definitely recommend this book for those who enjoy adventure stories. Clear the Shelf Giveaway WINNERS! 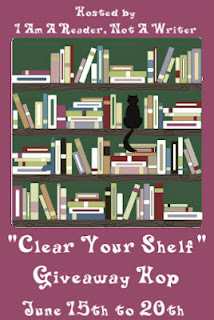 Time to announce the winners of my Clear Your Shelf Giveaway. I wish everyone could have won, but since that isn't possible, here are the winners. I will be contacting the winners by email. Thanks to all those who participated and please visit again! Hey, check this out! A free book for 10-17 year olds and a free e-book for adults. If you know a 10-17 year old who likes fantasy be sure to check this out! Take The Ride: 1000 signed copies of my book, Nikolas and Company: The Merman and The Moon Forgotten, will be given away on July 6th. July 6th, Aero Studios will mail 1000 free, signed copies of my book, Nikolas and Company: The Merman and The Moon Forgotten to those who get their orders in first. You don’t have to pay for the book, or shipping and handling. To qualify: Be between the ages of 10 and 17 (If you know someone between 10 and 17, feel free to order for them). Live in the US (adults can also get a free digital copy). Oh, and you also have to LOVE crazy, fantasy adventures about a fourteen-year-old boy being chased by monsters aboard a shuttle launch, automaton-legged mermen walking on land, and travelling down murky waterways deep underground…on the moon! What do the reviewers think? Click here. 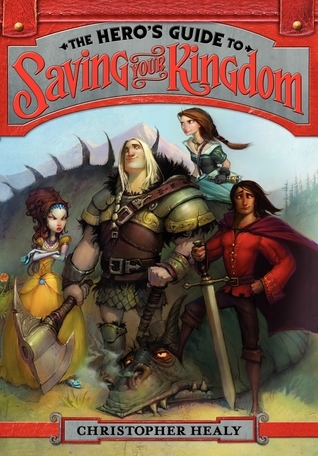 Debut author Christopher Healy takes us on a journey with four imperfect princes and their four improbable princesses, all of whom are trying to become perfect heroes--a fast-paced, funny, and fresh introduction to a world where everything, even our classic fairy tales, is not at all what it seems. I really enjoyed the humor in this book. I also appreciated the fact that each of the princes and princesses was unique, with their own strengths and weaknesses. I enjoyed the way each character grew in confidence and ability, with possibly the exception of Briar Rose (Sleeping Beauty). I also liked the fact that the princesses are doing more than just showing up at the right time and place to be rescued. Ella (Cinderella), for example, leaves Frederick in order to pursue a more adventurous life. The relationship between Prince Duncan and Snow White is an interesting one, far more realistic than most fairy tale relationships, especially considering Duncan's many idiosyncrasies. I found the characters to be fresh and delightfully entertaining. Fairy tale re-tellings have really exploded in recent years. The best-known stories have been the most commonly done, Cinderella, Sleeping Beauty, etc. There are also been plenty of fractured fairy tale re-tellings. I have enjoyed many of these as most authors take the time to make the story truly their own. And I will be reviewing more of these in coming weeks. But I can honestly say I've never read a fairy tale book like this one. It's interesting how the stories of the four Princes Charming come together and they end up each playing a role in trying to defeat the witch. The introduction of the villains even provides plenty of humor. I thought it was appropriate however that while the princes/princesses do heroic things, they don't all of a sudden become popular and perfect. They remain their own unique selves. I highly recommend this book for those who enjoy fairy tales turned on their heads, with plenty of humor and heart. Easing his pace, Jonathon advanced only inches at a time. Instinct heightened beneath unseen eyes and he knew he moved in the presence of a creature that could kill him. As he progressed forward, his light caught a presence to his left… a human presence. 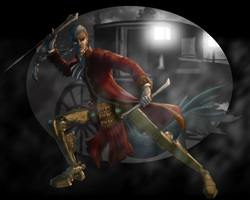 The dark image startled him and Jonathon whirled to face the threat, the beam of his headlamp cutting into the darkness. Jonathon’s had more than enough adventure for one lifetime. That’s why he’s planning to spend this summer camping in quiet central Utah with his Peruvian friend, Severino. But when the two of them accidentally discover an ancient artifact, they wind up in more danger than ever! Now Jonathon, Severino, and their new friend, Tallie, will have to choose between protecting a secret that’s been hidden for centuries or saving their own lives! A perfect combination of action, thrills, suspense, and a hint of romance, this is a cover-to-cover adventure that you simply can’t miss. Join forces with this dynamic trio of teens as they delve deep into the mysteries of the past. An entertaining read that’s sure to keep you guessing! The problem with reading ARCs is that the book is unfinished. When I first started reading this the writing seemed awkward and I had a hard time getting around it. But a few chapters in, I realized that that awkwardness likely does not exist in the final version, and that despite the trouble I'd had at the beginning, I was really starting to get into the story. Jonathon, Tallie and Severino quickly become sympathetic characters that I cared about. Their experiences and feelings became important to me as I read further. I also found it interesting that the 'bad guys' stories are told along with the main characters until all the characters meet up. I especially found it fascinating the way the author implied certain things about the character Ryan, but she never directly said what I found myself assuming. A reminder that assuming can be a dangerous thing, as Jonathon, Tallie and Severino discover to their detriment. I found the plot fascinating and not just because the story occurs in my state. Archeology is a fascinating field and full of mystery. It became clear that the author had done her research, which is something I always appreciate. For me, accuracy in terms of science or history is an important part of such stories. I enjoyed learning more about the history of the area where I live and found the information integrated beautifully with the story. I didn't feel like it slowed the story down at all. Instead it intensified my feelings about what was happening and why it happened. For more information on how the author gathered information see her blog post here. To see the schedule for the other blog tour stops, see here. Oops. I didn't realize I signed up for two blog tour posts on the same day. Oh, well. They are both great books so I hope you take a look at both. This blog tour is being sponsored by Pump Up Your Book. Jake, a 14-year-old gadget whiz, didn’t plan on a summer full of treasure, thieves, and danger. He just got lucky. While in Ireland on a class trip, Jake stumbles upon the first clue to a treasure missing from the Spanish Armada. Jake sees the riches as his chance to buy back the family sailboat and restore a piece of the life he enjoyed before his father was critically injured in an accident. 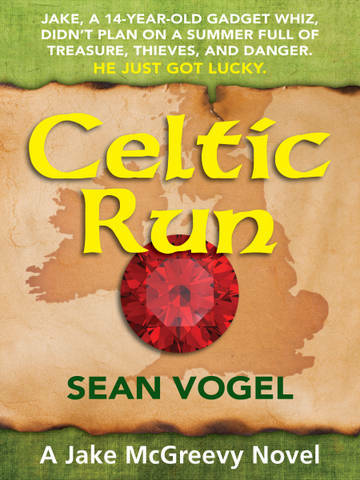 Desperate to find the treasure, Jake teams up with Zach, his nemesis and class bully, and two girls in a clue-hunting chase across the Dingle Peninsula. Dodging would-be thieves, exchanging wisecracks with Zach, and concocting ingenious devices to get them out of scrapes, Jake leads the team as they connect piece after piece to the 400-year-old mystery. If I had to describe this book in a sentence I would say: A fun, quick read involving treasure, friendship, and Ireland which takes the reader on a journey of twists, turns, and clever tricks. While Jake struggles with his feelings about two girls, Julie and Maggie, his annoyance at his eighth grade nemesis, Zach, he desperately wants to find the treasure, hoping it will allow him to buy back his father's sailboat and improve his relationship with his father. Using his wits and natural quickness, Jake faces the challenge of his life. This is a great book for reluctant readers, as well as those who enjoy a good puzzle, but a not too long adventure. At 159 pages, this is a good length for those who like a good adventure that doesn't waste time or words. I loved the Irish setting and quickly wished that I could hop on a plane and visit the places mentioned in the book. The plot moves quickly while still providing enough character development to add spice to the story. I recommend this book for those who enjoy a good adventure. Welcome to the Tracing Stars Blog Tour and giveaway. I am excited to be able to share this book and author with you. If you have not already, I recommend reading my review/author bio here. 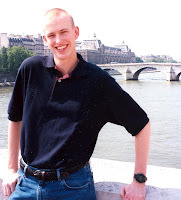 Today, I have an interview with the author to share with you and a great giveaway. A charming novel about sisterhood, self-identity, and friendship from the author of Flutter. Indie Lee Chickory knows she's not as cool as her older sister Bebe. Bebe has more friends, for one. And no one tells Bebe she's a fish freak, for two. So when Indie accidentally brings her pet lobster to school, makes a scene, loses him in the ocean and embarrasses Bebe worse than usual, she makes a wish on a star to become a better Chickory. She tries to do this by joining the stage crew of the community's theater production, The Sound of Music. (Bebe has a starring role.) But Bebe is worried that Indie will embarrass her again, so she gives her a makeover and tells her who she should be friends with. That means Owen is out. But he's fun and smart, so Indie keeps her friendship with him a secret. At night, Indie and Owen rebuild a tree house into a ship in the sky to catch Indie's pet lobster. But during the day, Indie has to hide her friendship with Owen. When things come to a head, Indie realizes that being true to yourself is more important than being cool. But what's even more surprising is that Bebe realizes it, too. What's the 'story behind the story' of Tracing Stars? Where did the idea for Monty (lobster) come from? How much research did you have to do? This is a great question. Some stories come easily and some are like pulling teeth out of an angry Rottweiler. This one was the pulling teeth one. I proposed a story to my editor that would have the feel of Little Women meets Bridge to Terabithia, and that story did have an Indie Lee Chickory and an Owen Stone, and they did have a tree fort, but Indie had a severe anxiety disorder and Owen met an early demise in the frothy waves of the ocean. There was no Monty. There was little laughter. Let’s just say, I am happy that it developed into two quirky characters with a lighthearted plotline. It’s pretty depressing around the house when your favorite characters are dying all the time. Strangely, this story evolved from revision to revision and Monty was one of the very last characters to appear. He showed up when my editor, Jill Santopolo, mentioned that she didn’t quite get Indie yet. She didn’t totally understand her or her voice. At that point, I spent some time just with Indie, letting her talk, and in popped The Lobster Monty Cola. He was an obvious choice for the setting and for Indie’s unique character. Monty was the character that locked the entire story into place. As far as research goes, the lobster and boat terms were things that I did have to look up and continue to have a running resource list for, but the theater terms and the building terms were not research-heavy at all. I have my bachelor’s degree in theater design, specifically lighting, but when you are in theater school, you learn a bit about everything. And I’m glad that even though I’m no longer climbing ladders and building stuff, I can at least put that knowledge to good use. 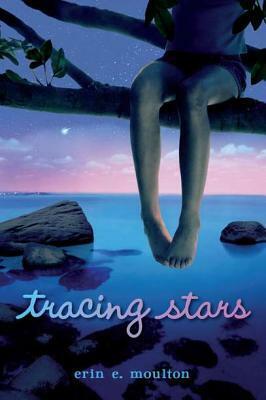 I loved the setting of Tracing Stars. Is this based on somewhere you've been or did you make it up? Plumtown is a bit of a mashup, but I did draw heavily from small New England towns. Write what you know, right? Plumtown is quite a lot like York Beach in Maine, though a bit smaller. I specifically stole the taffy spinner idea from Goldenrod Kisses and plopped it down in Plumtown in fictional Sandies Saltwater Candies. I remember always being entranced by the taffy machine in the window regardless of age--5 or 15--I wanted to stare at it and watch the taffy stretch. Despite it being a coastal setting, I wanted to give it an authentic touristy feel, but harness the perspective of the people who live there. I have not ever lived on the coast, so I borrowed from the area where I grew up in Vermont that was a big tourist spot. Granted, in VT the tourism was for skiing and leaf peeping, but you get the same sense of the people who are there making a living vs. the people who are there vacationing. Between the visions of the coast and the feeling of a tourist town that I know well, I hope I created what is an authentic coastal setting from the perspective of those who live and work there. What's something you learned while writing/publishing this book? Oh man, I learned a lot. As far as research, I learned a whole lot of fish names. I learned that there are a bunch of different types of Groupers and that lobsters can drop a claw, and that there are golden lobsters as opposed to just the red and blue ones. And as far as publishing, well, I learned that the second book can be just as hard, or harder, to write than the first. I have written my entire life. In second grade I wrote a book with my friend, Kim, called The Two Orphans. Despite writing my whole life, I did take a winding path to choosing it as a career. I did theater from middle school through high school and up into college, as well as for a few years professionally. But when I was at Emerson for theater design, I took a fiction class my junior year because I had some space in my schedule. I had my first critique and it was like waking up. A little voice saying, well, no kidding, that was what I should have been doing all along. So before I even finished at Emerson I applied to the Vermont College of Fine Arts. Frankly, I didn’t know what I was doing, and I didn’t know if I would get in. All I knew was I wanted to write and I made a desperate move. Luckily, I did get in and I started my MFA the summer I graduated from Emerson. My MFA at VCFA was a life changing experience. And although I no longer work in the theater, the work I did with it was time well spent. Theater people know how to tell a story, carry an audience to a new world. And in the bigger scheme of working out in the world, theater teaches you to work as a team and meet deadlines and stay cool under pressure. So even though it was a winding road, it was all time well spent. What is your favorite/least favorite thing about publishing books? Beyond the actual writing part, my favorite thing is the school visits, where I get to talk to great kids who have so many insights about my books and books in general. My least favorite thing is probably reviews. I am obsessive enough to let the one unfavorable line keep me up at night. Right now, I am working on a story that centers around Valore (the snore) Arbuckle, her dog, Petty Officer Boone, and her playground bully, Melanie Burkram, as they hunt down an old revolutionary war treasure at Fort Ticonderoga. Well, I guess I may be a bit of an oddball here, but I’ll say it anyway: I like homemade banana ice cream. You just freeze bananas and then put them in the food processor and they get this wonderful ice cream texture. Then you can throw a few strawberries and chocolate chips on top and it is 100% heaven! Yum. That sounds delicious, I'll have to give that a try. Thank you, Erin Moulton for stopping by Geo Librarian today. Readers be sure to enter the giveaway before you leave! 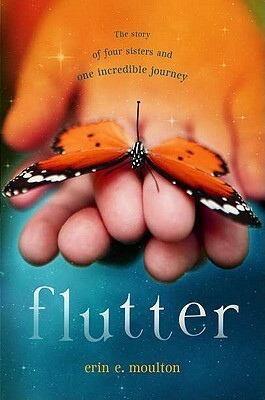 Also check out Erin's other book, Flutter. I've included the cover and synopsis below. You must be over 13. If you win, respond to email within 48 hours. Big things are about the happen at Maple's house. Mama's going to have a baby, which means now there will be four Rittle sisters instead of just three. But when baby Lily is born too early and can't come home from the hospital, Maple knows it's up to her to save her sister. So she and Dawn, armed with a map and some leftover dinner, head off down a river and up a mountain to find the Wise Woman who can grant miracles. Now it's not only Lily's survival that they have to worry about, but also their own. The dangers that Maple and Dawn encounter on their journey makes them realize a thing or two about miracles-and about each other. I am super excited to be a part of the Tracing Stars Blog Tour. Today, I'll share my review and the author bio. Tomorrow, be sure to check back for an interview with the author and a giveaway. Reviewed from copy provided by author. Opinions expressed about book are my own. I loved this book. The characters, the setting, the plot, the whole thing. Indie is a very endearing, but flawed character. She desperately wants to be a better person, one who doesn't embarrass her sister or lose family pets (a lobster). I think most human beings have a desire to be better than we are. For Indie, after making a wish and 'tracing' her favorite constellation, she believes she is making progress. Before long however, she is hiding things from her family and pretending to be someone she isn't comfortable with. Both Indie and her sister Bebe are sympathetic characters, but at times I found myself torn. Part of me understood completely where both girls were coming from (the kid side of me) and the adult part of me winced at some of the poor decisions that were made. Owen adds a sweet and sensitive note to the book and more than once I wanted to give him a great big hug. Moulton does a fabulous job creating a believable setting. I could almost feel the fresh ocean breeze or taste the delicious candy or feel the sand beneath my tows. I found myself wishing that I could visit this place. Plotwise, I enjoyed watching Indie slowly come to a sense of herself and what it truly means to be yourself. Some of the plot elements I picked up on pretty early, I did not however find this annoying as they were presented in a fresh, interesting way. The themes of friendship, loyalty, and family were beautifully presented and I did not feel in the slightest like they were old or worn out plot lines. Overall, I highly recommend this book as a great read and a great read-a-loud. There is much here worth discussing. I liked this so much that I immediately picked up Flutter, Erin Moulton's debut middle grade novel. You'll be seeing a review of that in coming weeks. Make sure to stop by tomorrow for an interview with Erin and a great giveaway. Be sure to check out her website for more information and/or classroom resources. My mother was struck by lightning when she was pregnant with me. To make matters worse, I was then born on Halloween Night. I was strange from the start. As a child I was fairly quiet. You could often find me playing with my imaginary friends (Marnie and Katyan Babyan) or nestled up with a good book. My older sister learned to read quickly and once she was reading, I wanted to know how to do it, too, so I followed her lead. We grew up on a mountain in Vermont. You will see that my childhood home plays a big part in my stories. Sisters also may play a large role. I have three sisters and they have always been a great source of inspiration to me and my writing. Among them, a scholar, an athlete and a born nurturer. My parents brought us up to follow our dreams regardless of where they may lead and each of my sisters seems to have harnessed that so well. I have always written stories. In 2nd grade, I worked on a "book" with my best friend, Kim. We wrote upwards of 60 pages of a story entitled "The Two Orphans." I did the writing and Kim designated herself the illustrator. Writing never left me after that, though I did take a minor detour in high school and college. The fact of the matter is that I simply didn't think I could make a living as a writer. So I decided to pursue my second passion, lighting design for the theater....I know, why would I think that a career in the theater, of all places, would be more lucrative than a career as a writer?? In my senior year at Emerson, I realized that I needed to take a writing class. I stepped into fiction 101 and woke up. 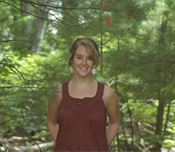 I soon applied to the Vermont College of Fine Arts MFA in Writing for Children and Young Adults Program. I plunged into my MFA, all the while trying to support myself with my alternate arts degree. They were colorful times, to say the least, but it didn't take long for me to realize that writing was my heart. To fully follow my dream as a writer, I let my theater aspirations go and headed into the work force, so I could more fully concentrate on my writing. My Favorite Reads Giveaway Winner!